Start FileZilla. 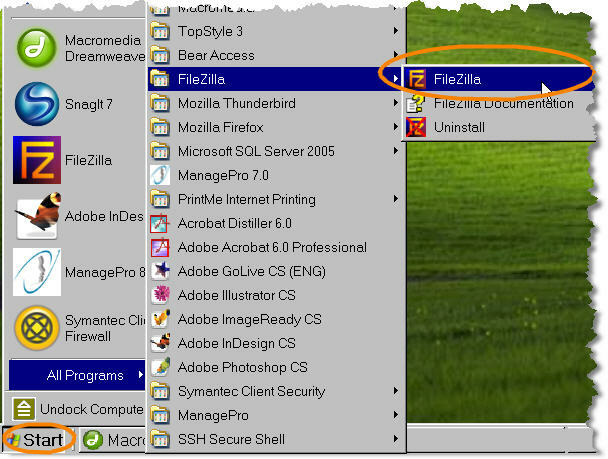 Click the the FileZilla icon on your desktop or in your Windows Start menu. From the File menu, select Site Manager. In the Host box, enter the address of the server you're connecting to. 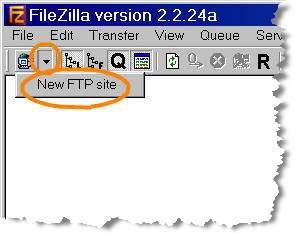 For FTPS transfers, select FTP over SSL (explicit encryption). 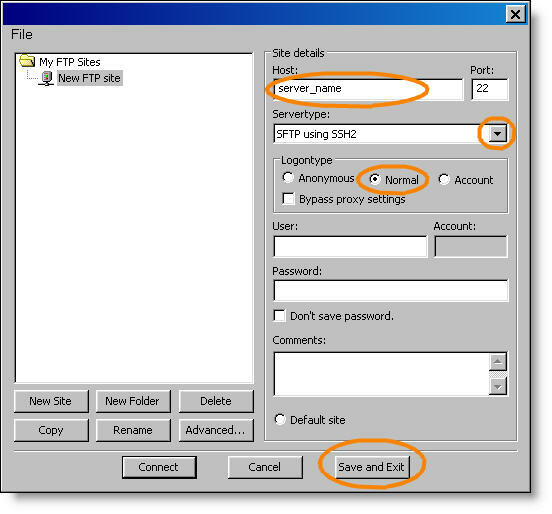 For SFTP transfers, select SFTP using SSH2. In the Logontype box, click Normal. In the User box, enter the username you were assigned for this server. Click the Don't save password box. 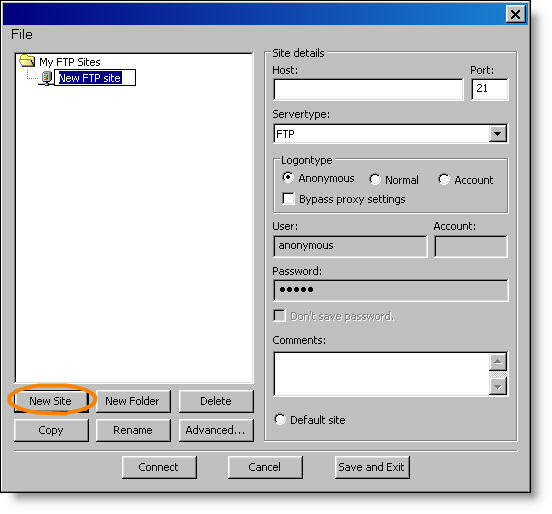 The next time you open FileZilla, you can connect directly to this server using the options you chose. For instructions, see Transfer Files Using FileZilla below. 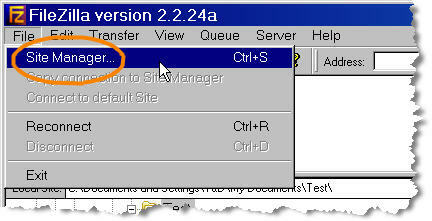 Click the arrow next to the Open Site Manager button, and then select the server you set up in the previous procedure. In the Password box, enter your password for this sever, and then click OK.
FileZilla opens. Your computer (Local Site) is on the left and the server (Remote Site) is on the right. Navigate to different locations on either system. Drag and drop files or folders to copy files. For more information, click Help in the FileZilla window.